L.A. County Fair Haunted 66 is an unexpected treat for Halloween fans visiting Pomona Fairgrounds this September. The L.A. County Fair is an annual tradition, where we expect to find the strangest and wildest hybrids of foods, plus hundreds of vendors, art pieces, and other fun things to do. We did not expect to find ourselves at the Haunted 66 exhibition. The inspiration for the name comes from this year's L.A. County Fair theme: Route 66. We expected a standard Halloween trade show/expo, but our expectations were exceeded. Haunted 66 is an amazing collection of displays, vendors, and photo ops. If you are looking to shop, you can find a makeup FX school, props for sale, and other Halloween related collectibles. 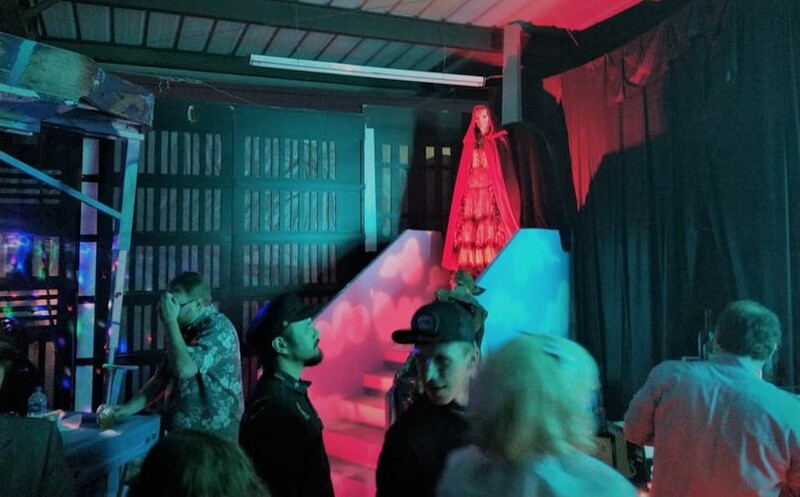 If you are looking to peruse the exhibits, or simply want to take photographs, there are plenty of opportunities, including a King Kong's paw where you can pose as the damsel in distress. 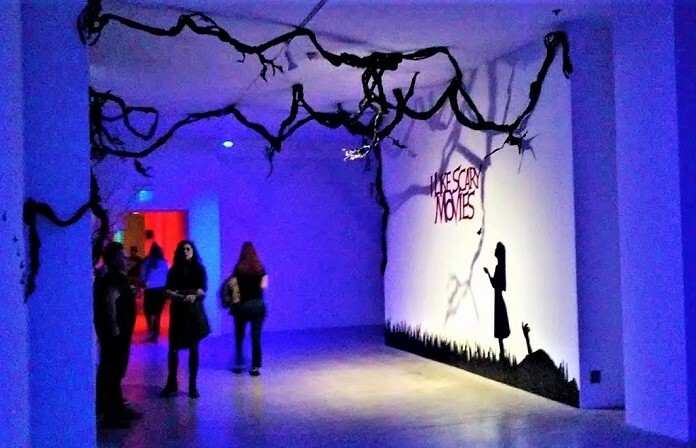 The highlight of L.A. County Fair Haunted 66 is the “Museum of Monsters,” which is divided into three sections. The first contains photo-ops of graveyards, monsters, zombies eating humans, and things that go bump in the night. The second section - aptly titled “Frankenstein's 200th Anniversary" - pays homage to Mary Shelley's immortal creation, showcasing life-sized figures of Frankenstein's monster as he evolved through the ages. The third - and perhaps our favorite - is focused on more current events, including Halloween - not the holiday but the movie series. 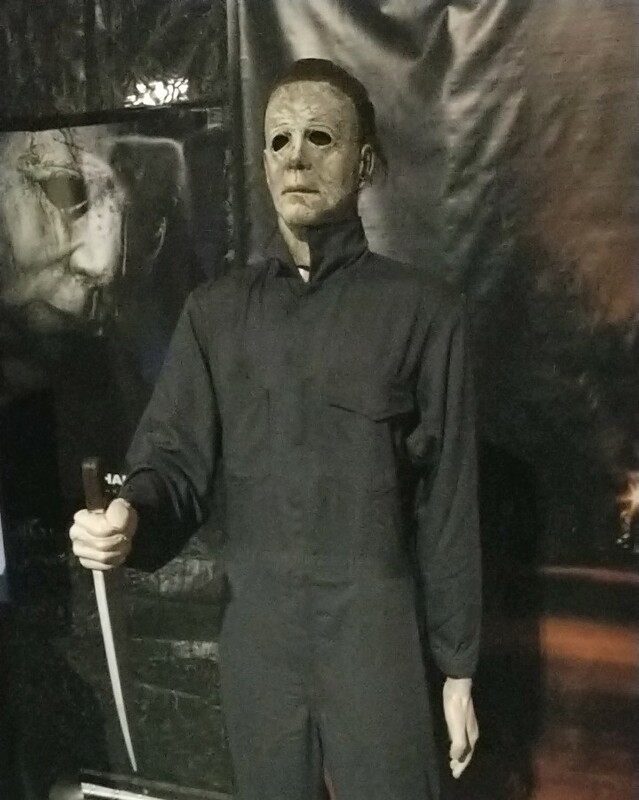 There are movie posters from past films, along with masked killer Michael Myers himself (a life-sized prop of course...or was it?) The trailer for the new film (the 11th in the franchise) plays on a loop while you pose with the different versions of Michael Myers. The L.A. County Fair Haunted 66 runs through September 23 at the Pomona Fairplex. You can find admission and rides information here.